Hermosa Beach CA calls itself “the best little beach city,” and it’s hard to disagree. Sea breezes keep temperatures comfortable all summer long, when other parts of the LA area get really hot. Plus, the wind off the Pacific also helps lift away LA’s smog all but a handful of the days of the year. Hermosa Beach CA is a popular spot for all kinds of activities like beach volleyball, surfing, paddleboarding, biking, and jogging. 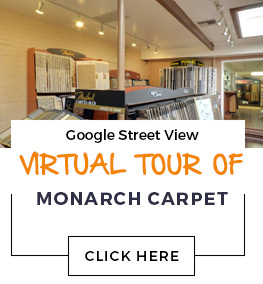 At Monarch Carpet, Drapery & Upholstery, we have every type of flooring you could want for your Hermosa Beach CA property. Whether you are looking for durable institutional floor coverings suitable for heavy foot traffic, or need quality residential floor coverings, we can help. Our expert sales staff will be happy to show you our incredible selection of carpet, wood flooring, laminate, vinyl, and area rugs. We give each client personal attention and we truly care about your satisfaction with your flooring.